Dialogue is a recurring theme in the writings of Pope Francis. In Laudato si’, Francis challenges the world to enter into dialogue on policies and practices that foster the common good. He invites dialogue among diverse religions and cultures, and between religion and science to address the ecological crisis and promote human fulfillment. 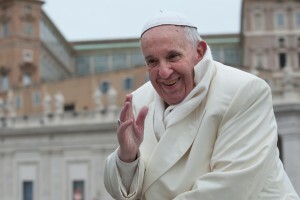 Moreover, Francis presents the ability to enter into dialogue as a uniquely human characteristic– a quality that reveals our innate human dignity. As we enter into the final months of a contentious US presidential race and as violence continues to divide communities and displace people around the globe, the Pope’s words challenge all of us to embrace dialogue over intolerance and fear.